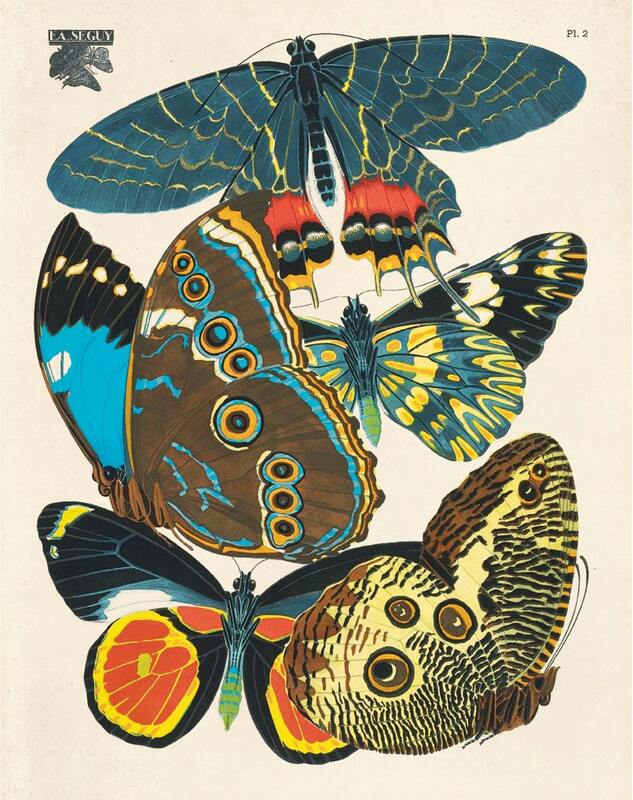 Vintage French Butterfly Illustration Plate 2: The original art is by Eugène Séguy from the early 1920s. He was a French entomologist and artist who specialized in winged insects. He held a chair of entomology at the Muséum national d'histoire naturelle in Paris from 1956 to 1960. The original have been scanned in, cropped, and retouched to ensure the highest quality reproduction possible. This print is digitally printed on smooth fine art paper, 100% cotton fiber, acid free, 15mil. All prints available in 8x10, 11x14, or 16x20.